It’s during this time in the WWE when many aspects of the upcoming WrestleMania are put in place. Every year, the fans start to speculate the match card that’s going to be put together with the current roster. It all starts at the Royal Rumble event where the match itself gives whoever wins a first-class ticket to the main event of WrestleMania. Last night that someone has punched his ticket to the main event of WrestleMania by overcoming an all-star pool of 29 other competitors and his name is ‘The Viper’ Randy Orton. In the last few moments of the match, Orton would eliminate the controversial Roman Reigns after he eliminated Bray Wyatt from the rumble match. Prior to the rumble match, SmackDown Live had the honors of being the main event as John Cena challenged AJ Styles for the WWE Championship. The match was the fourth encounter of these two which in many honest opinions is some of Cena’s best matches he’s had since his feud with Kevin Owens. Although it looked like AJ Styles would retain the championship after surviving a Super AA (Attitude Adjustment), Cena would connect with two consecutive AAs and become a 16x World Champion tying Ric Flair record. Afterward, John Cena would celebrate his record-breaking win with a Make-A-Wish member at the Royal Rumble pay-per-view. Although Orton’s opportunity at WrestleMania is secure, John Cena’s is not as of yet. Cena must first retain the title on February 12th in an Elimination Chamber match for the WWE Championship announced by the SmackDown Live Commissioner Shane McMahon. On WWE.com the only other superstar of the six that’s participating is AJ Styles which he’s due for his contractual rematch for the WWE Championship. Last night on SmackDown LIVE! 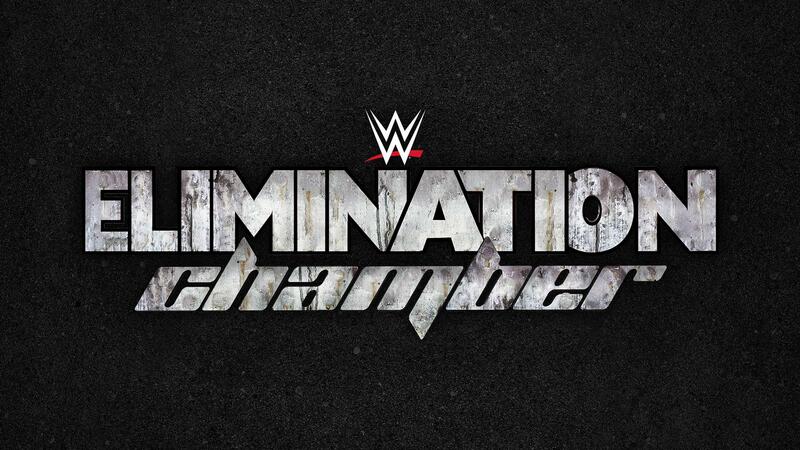 the top of the Elimination Chamber came up as the remaining participants were announced. Following AJ Styles’ inevitable rematch clause guaranteeing him, a spot others that have been leading SmackDown Live in the new era to join him are Baron Corbin Bray Wyatt, The Miz, and WWE Intercontinental Champion, Dean Ambrose. Also being clued in as AJ Styles getting a one-on-one rematch for the WWE Championship as well. If Cena is successful at Elimination Chamber event, only then will he and Orton face off at WrestleMania. Even with many fans being over their career-long rivalry this main event would be a fitting celebration for both Superstars’ reaching their 15-year anniversaries in the WWE. Another match for the upcoming Elimination Chamber event is, the ‘SmackDown Live’ Women’s Championship being defended. Alexa Bliss has shown promise of ability to command the ring. She burst onto the scene during the beginning of the newly draft roster of SmackDown and won the Women’s Championship from the Lass Kicker, Becky Lynch. Bliss would essentially knock off Lynch from being in the title picture after defeating her in a steel cage match. Following this and the return of Mickie James helping her retain the title, Alexa Bliss would run into Naomi who returned from her debilitating injury and put the SmackDown Live’s Women’s Division on notice. Noami not has picked up two non-title victories over Alexa Bliss and now has an official title match at Elimination Chamber. For years, Naomi has been received rather well by the WWE Universe for her personality and in-ring ability. It was thought she would have already been a one-time Womens/Diva Champion at some point but maybe her time has finally arrived this year. This is one match that will truly solidify both women as their abilities are phenomenal. Speaking of the Women’s division one feud that has brewed into a personal vendetta between Nikki Bella and Natalya. Rewind to 2016 during the first-draft inter-promotional match between the Women from RAW & SmackDown Live!. Nikki Bella’s leadership became an issue after being attacked in the back by an unknown individual. Natalya would be there to console Bella and eventually take her place. Fast forward a few weeks ago, when Carmella revealed Natalya to be the one responsible for the attack on Nikki Bella. After cranking the heat up by saying “John [Cena] will never marry you” Nikki Bella would have enough of Natalya talking out of her face and finally, words turned into a fight. Honestly, I love this little rivalry as it shows that Natalya still has the strength to be a devious heel given the restraints on what can be done to get over. Nikki Bella on the other hand still hasn’t been too convincing to the WWE Universe although she has proven to be a great in-ring wrestler. However, all that aside this personal rivalry does breed some great storytelling and at Elimination Chamber these two superstars will settle the score. We never saw the ‘SmackDown Live’ Tag Team titles being defended at the Royal Rumble but we did see Karl Anderson and Luke Gallows win their first tag titles since debuting in the WWE. American Alpha are the current tag team champions and deservedly so for their chemistry is true to the point that it reminds you of ‘Team Angle’ (Shelton Benjamin & Charlie Haas). This past Tuesday, it was announced that American Alpha will be defending their titles against ‘SmackDown’ Live’s tag team division. Seems like this match is just put together so quickly given the amount of time until it airs on the network. I definitely wished they planted the seeds for this match at least a week or two before the Royal Rumble even with the titles not being defended. At least make the match make a little sense even if it features three teams (The Usos, The Ascension, & American Alpha). The SmackDown Live exclusive pay-per-view, Elimination Chamber will be live on the WWE Network on February 12th.